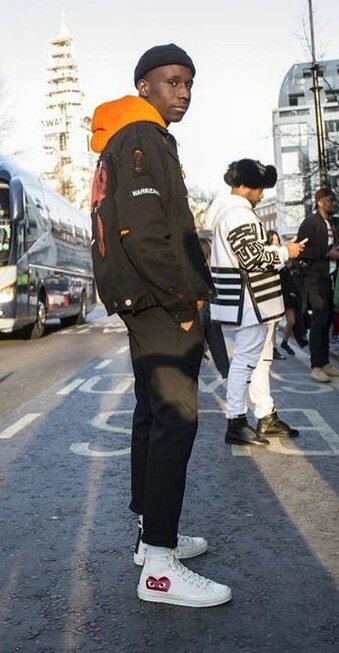 Varsity jackets were once a staple of American culture, but they have been taken and thrown into the streetwear mix. 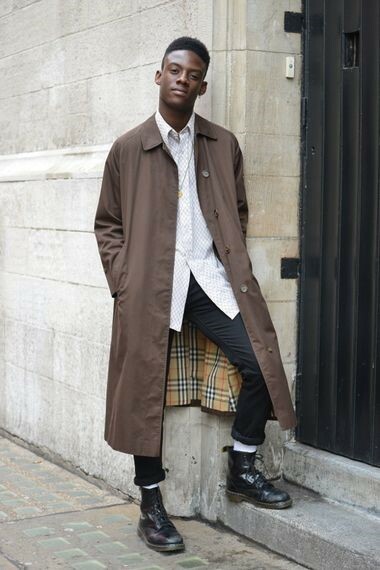 For a really cool look, add in a brown pair of rolled up trousers and trainers. 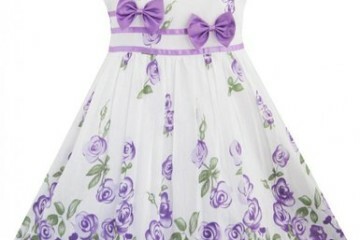 Bright, eye-catching colours are edgy and cool. 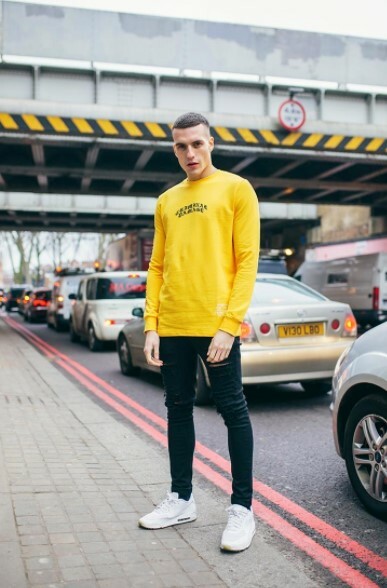 Black and yellow is a bold choice and has to be done the right way (otherwise you’ll end up looking like a bee!) – avoid wearing stripes or patterns if you’re looking to wear contrasting colours, keep to block colours for a really on-trend and different style. 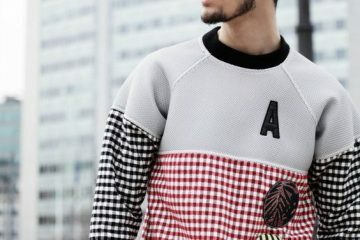 Mens sweatshirts are a great wardrobe filler and will never go out of style. 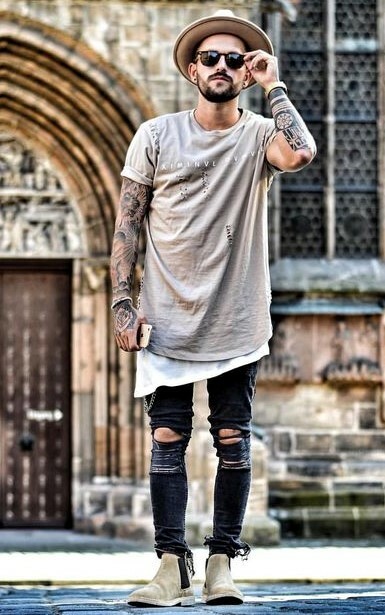 Wearing dark ripped jeans and a long t-shirt is a great every-day look for Summer. Paired with the right shoes and accessories, you can be turning heads all season. 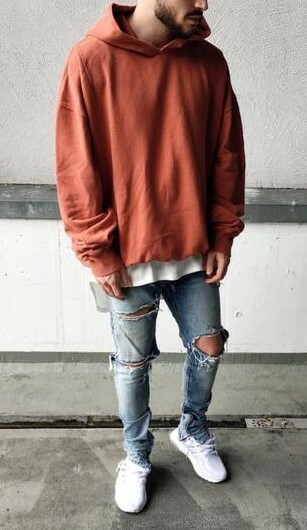 For a casual and cool look, pair a baggy hoodie with some ripped jeans to give an effortlessly cool vibe. Burnt orange and pale denim are the colours of warmer weather. This look is how you do smart casual right. 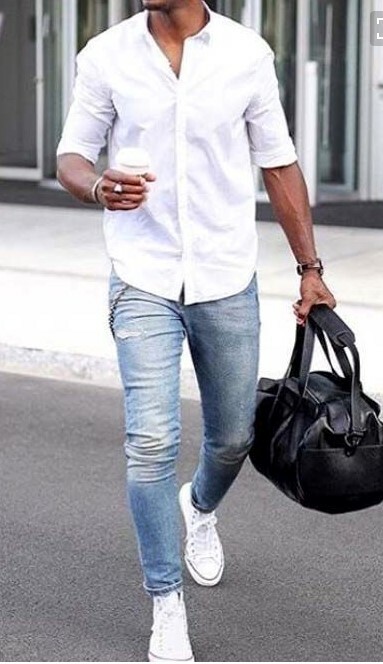 Pairing a clean white shirt with a pair of well fitted jeans looks really fresh and cool – it is the perfect travel attire. If you’re looking to add a little bit of edge to your wardrobe, then invest in a customized denim jacket. Hats are the perfect streetwear accessory and can be worn anytime anywhere. 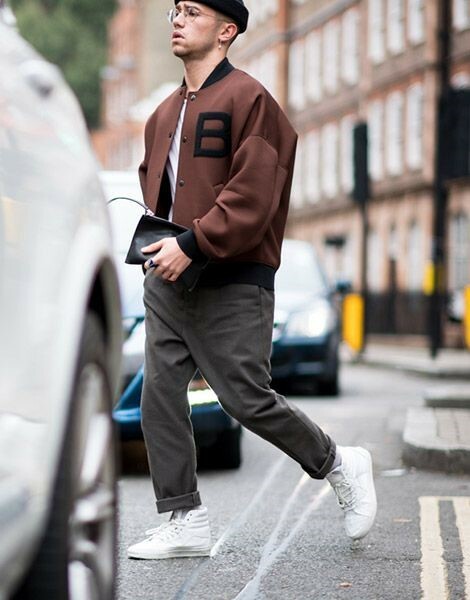 The two biggest style trends for men in SS17 are going to be bomber jackets and khaki green, if you can get both in one, then you’re on to a winner! Style your look with a snapback and a cool hoodie and you’ve got your streetwear look sorted. For a classy yet cool look, add together a pair of chunky brown boots with a trench coat and a shirt – this outfit is perfect for date night and shows that you’ve got streetwear style boxed off. 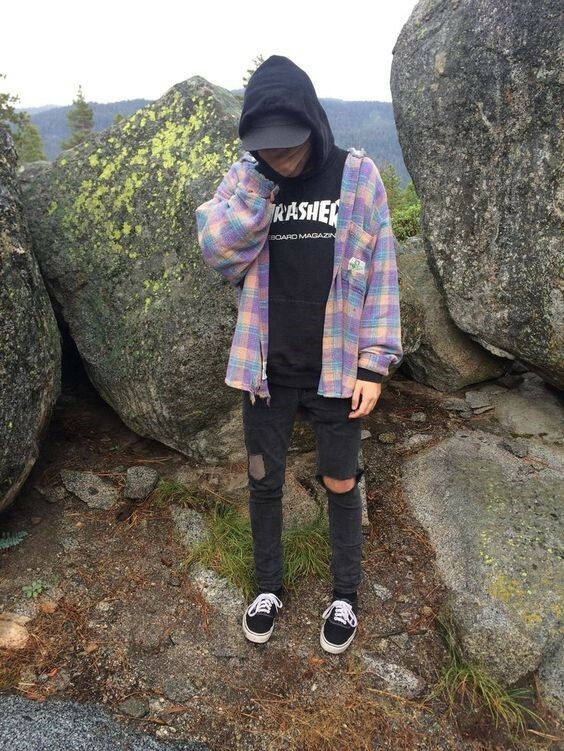 Streetwear is rooted in the California surf and skate culture, so pairing a grunge plaid top with a metal band hoodie is going to give you the perfect streetwear style. 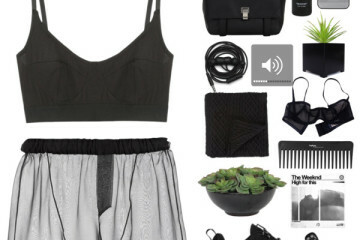 Add in a pair of skater shoes and you’re ready to hit the ramps!